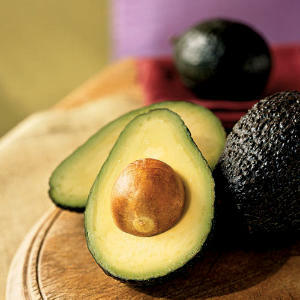 Mention “avocado” to your friends and family and I bet you will get some varied responses – many folks love them but others really don’t know much about them (and sadly don’t buy or eat them as a result), or they may say “Avocados – they have the good fat, right?”. If you are in favor of avocados – you should share these amazing avocado facts with your loved ones while serving them the delicious Chocolate Pudding and Guacamole recipes (see below) at your next gathering – a great way to get the conversation flowing! Originally from Mexico, and also known as Alligator Pear, avocados are a fruit that grow on trees in tropical or Mediterranean climates, sometimes grown as patio or house plants too.